Dateline July 30th, 2017. In this timeless article, Guardian 6 explains the Trump victory, his appeal and why “deplorable” Americans remain fiercely loyal to the Trump presidency and his bold agenda. After receiving several requests to republish, the 53rd Regiment presents Colon Blow to our loyal subscribers and readers. Dateline January 20th, 2017 — Republished again after the 58th Inauguration of the 45th President of the United States of America, President Donald John Trump. The article that follows explains how our 45th President stunned many on the left, shocked some on the right and restored faith to the Forgotten American Class of citizens that are the fabric of this country. The elite class of Americans remains dumbfounded while the majority of us saw this coming ten months ago. Read and learn. Dateline: February 28th, 2016. There is something explosive coming to America in November 2016. It is part of President Obama’s legacy, perhaps his greatest legacy achievement. After eight years of President Obama and his failed policies; six of eight of those years with a Republican Congress that demonstrated a spineless approach to pushing back against liberal, progressive dictates — that churning in America’s stomach is a very real movement, a Bowel Movement unlike anything ever seen in the political landscape. The upheaval is coming. America has a virus that is a mix of political correctness, statist elites controlling our lives through fiats and regulations and excessive taxation that has been killing jobs for decades. The American economy is constipated and all jammed up. There is going to be a massive explosion that no commode can withstand. There is going to be a “Colon Blow” that will reverberate in Washington DC for the ages. The people are going to take their country back. Donald Trump (DT) will be elected President of the United States, faults and all. The Donald has the message that Americans of all stripes are going to vote for out of shear disgust and frustration of the current system, both President Obama and the so called “mainstream Republicans.” Old & young, black & white, blue collar & white collar, and urban & country are in full rejection mode of what the political class is offering. Insiders and elites will work to try and stop Trump’s momentum through attack adds, last minute dirty tricks and attempts to showcase Trump’s shallow character, which is a very long list. However, none of this is going to matter to a public that is outraged. President Obama’s failure to improve the average Americans’ life in combination with his aloofness and inability to lead domestically or internationally, has Americans beyond disillusionment, Americans are pissed! While democrats and republicans alike have done little to improve economic opportunity and security for Americans, they have taken care of themselves with salary raises, exemptions from laws they pass and all the while they have largely ignored the wishes of the people who elected them. America is going to take one big enema to the whole system. That enema is Donald J. Trump. The enema is going to be like Trump’s Wall. It’s gonna be BIG! It’s going to be beautiful. Trump’s enema is going to Make America Great Again! The Trump suppository will be heard around the world and unlike traditional candidates, Trump’s unique style of talking (… and Tweeting) sounds like the average guy having a beer playing pool in a bar, is catching fire. Americans are finding his plain, direct and often disparaging speech to be refreshing. No doubt, this is an amazing thing to witness that can only be explained against the backdrop of a two term President that has failed his citizens. Americans want real change. Not progressive change that increases taxes, attacks religious freedom, fails to secure our borders, increases regulation and centralizes thoughts and power in Washington DC. No way! Americans are ready to take a suppository to DC, the whole system and drive it right up the asses of 1600 Pennsylvania Avenue and Congress. Many pundits don’t accept what is happening, can’t fathom it but it is gonna happen. 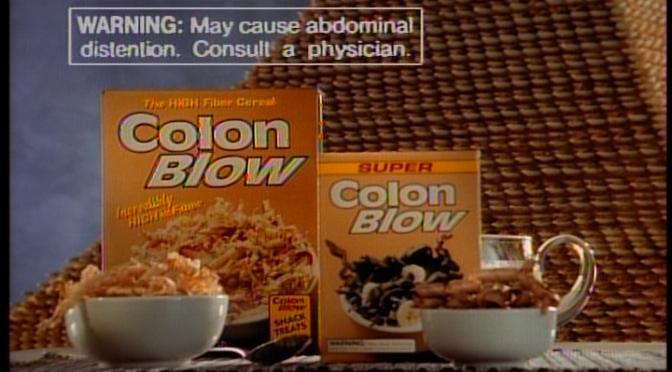 Colon Blow is real, very real. Grab your depends political class, you are about to be shocked and experience the most unimaginable political event in your lifetime. Donald Trump will become the 45th President of the United States. Having recently completed my first colonoscopy and the related prep (nuclear laxitive), I can support a U.S. Colon blow. Once it was said and done I felt better and lost a few lbs. may the same be true for the republic. I’m becoming a HUGE Mets fan! Going to be an Amazing Year!